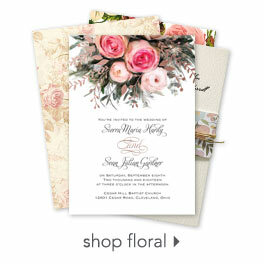 Everyone involved in your wedding will be excited for toasting when they receive these rehearsal dinner invitations. 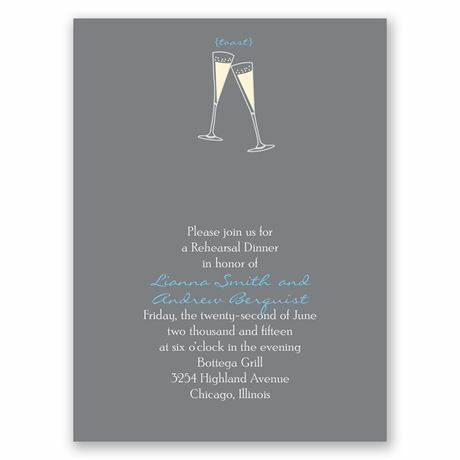 The toasting glass design is printed against the grey background as shown. Your wording is printed in your choice of color and two lettering styles. Invitation includes outer envelopes.